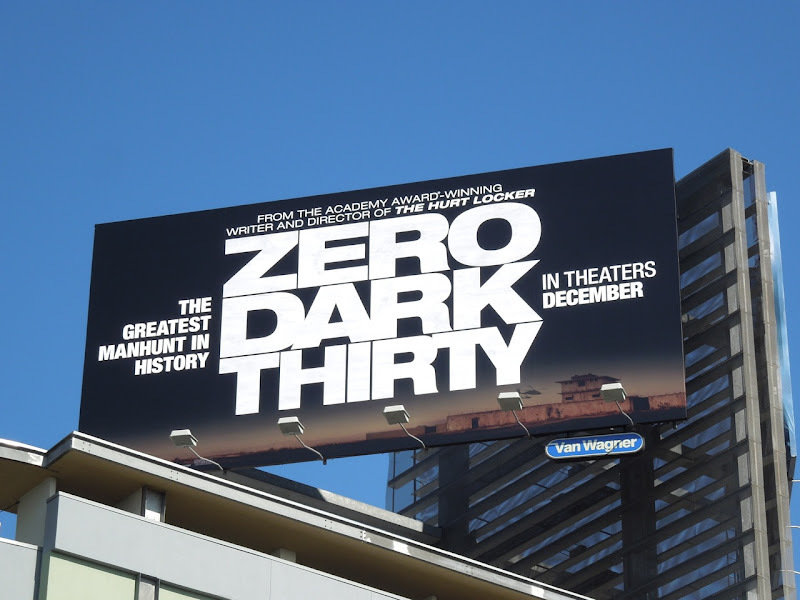 The question surrounding the release of Zero Dark Thirty is, can Kathryn Bigelow and Mark Boal repeat the Oscar success they enjoyed for 2008's The Hurt Locker with their new military-themed movie chronicling the decade-long manhunt for the al-Qaeda terrorist leader Osama bin Laden. 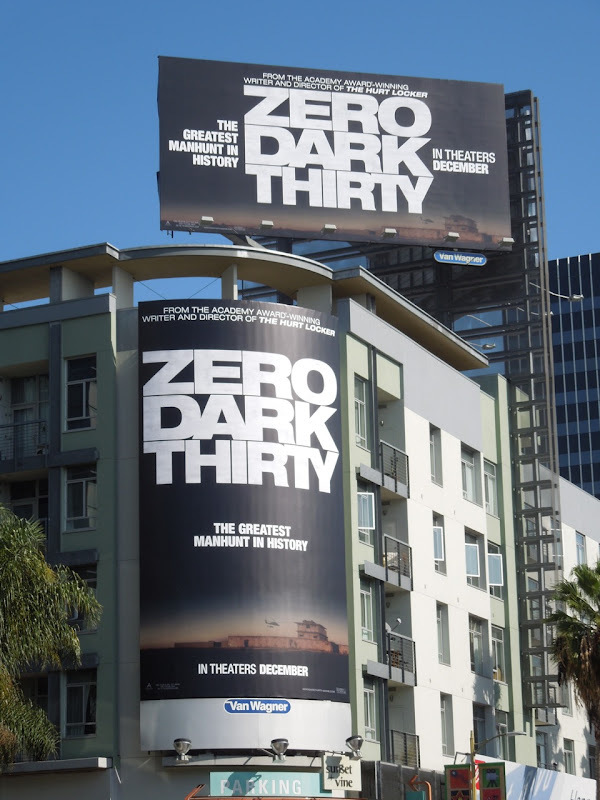 Jessica Chastain stars as a CIA Agent in this action-thriller about 'the greatest manhunt in history' following the devastating 9/11 attacks and the terrorist leader's death at the hands of Navy SEAL Team 6 in May 2011. 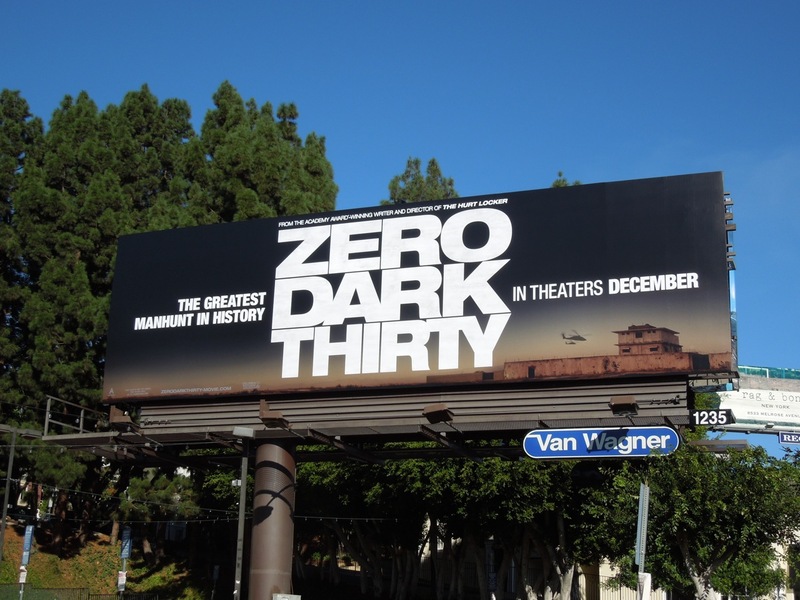 With so many Americans with a vested personal interest in his demise, you know that thousands of people will want to know how bin Laden was finally brought to justice. 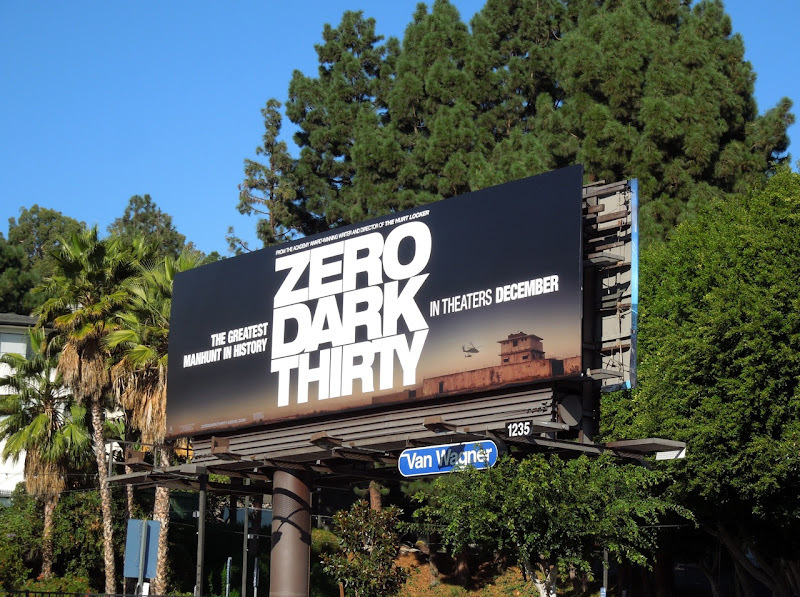 These billboards for the movie strike just the right chord of intrigue and were spied along Sunset Boulevard and at Sunset & Vine on November 23, 2012. 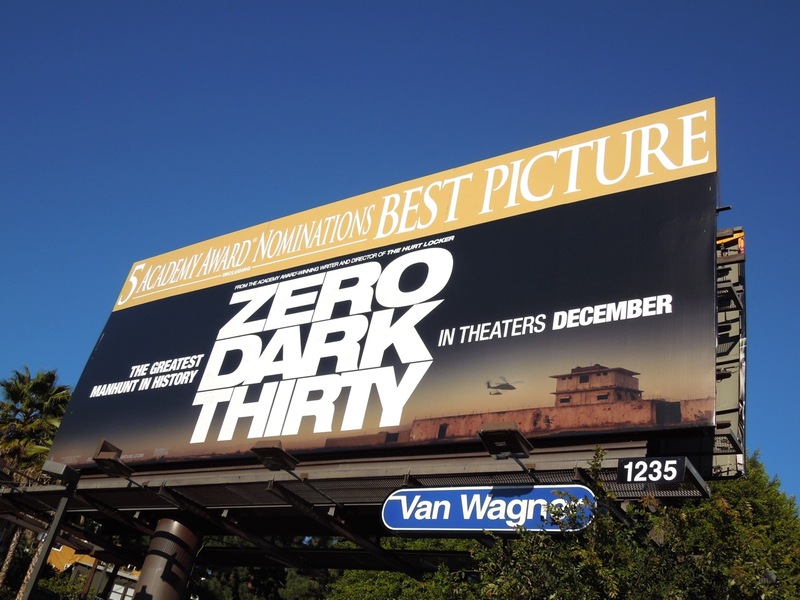 If you're a fan of the Academy Award-winning writing and directing team, be sure to also check out this Oscar nomination billboard for The Hurt Locker. 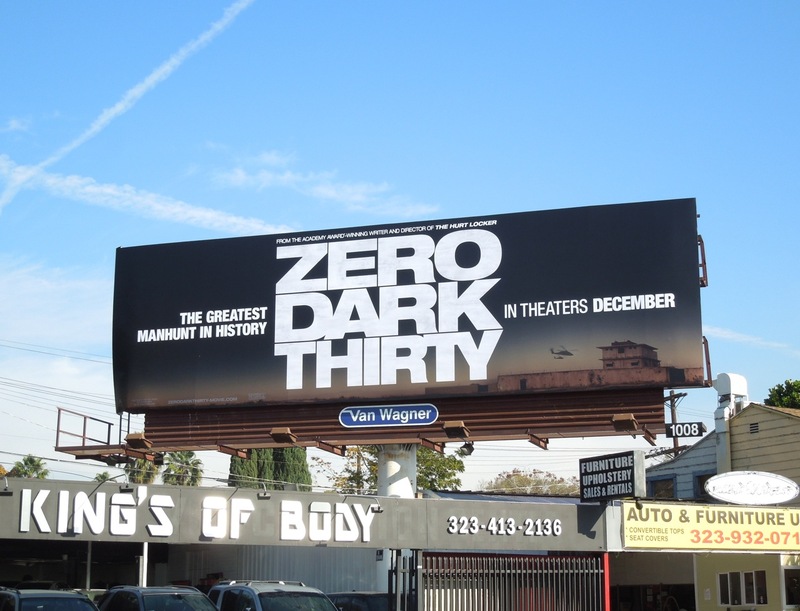 UPDATED: Here's another billboard for the movie snapped along Melrose Avenue on December 5, 2012. 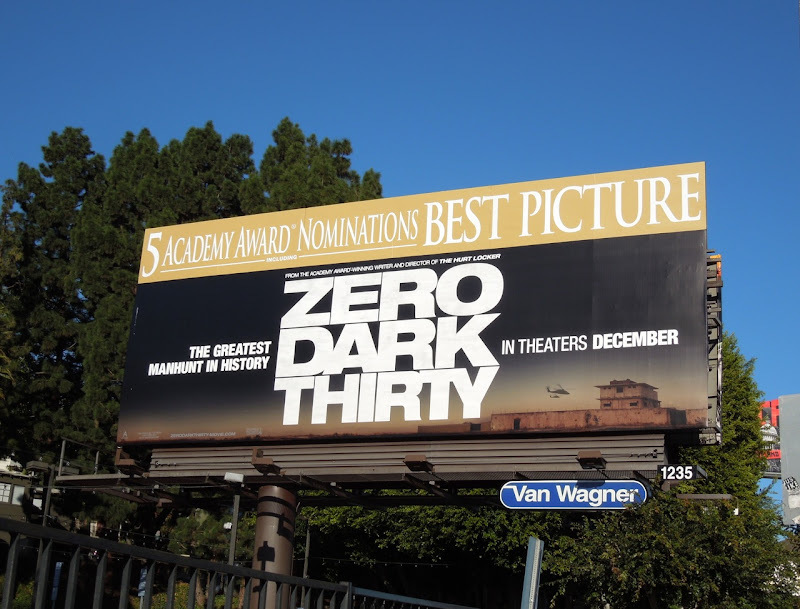 UPDATED: It's award season again and with the Oscar nominations just being announced Zero Dark Thirty wants to capitalise on its five Academy Award nominations, including Best Picture, Leading Actress for Jessica Chastain and Original Screenplay. 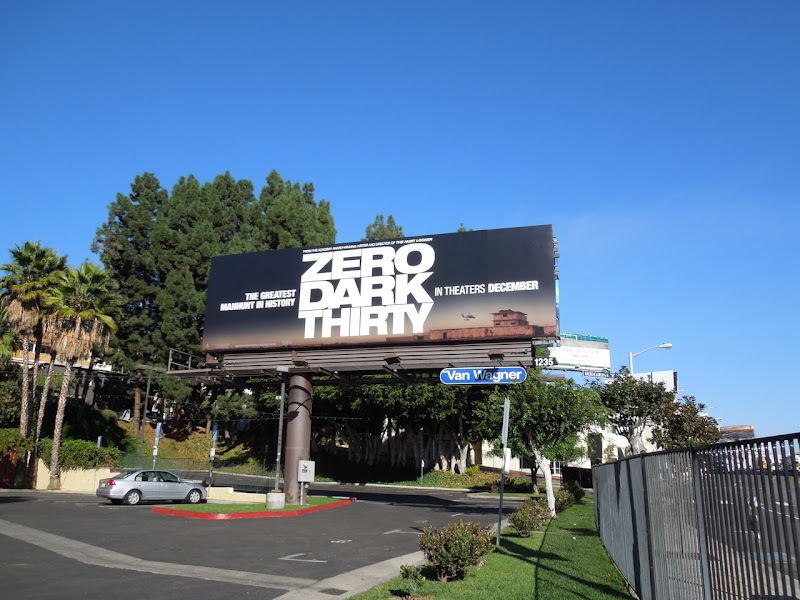 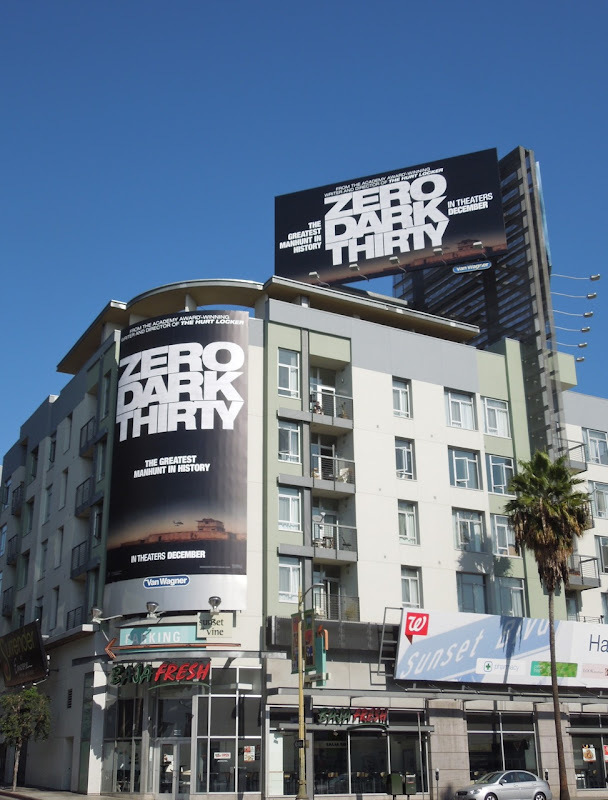 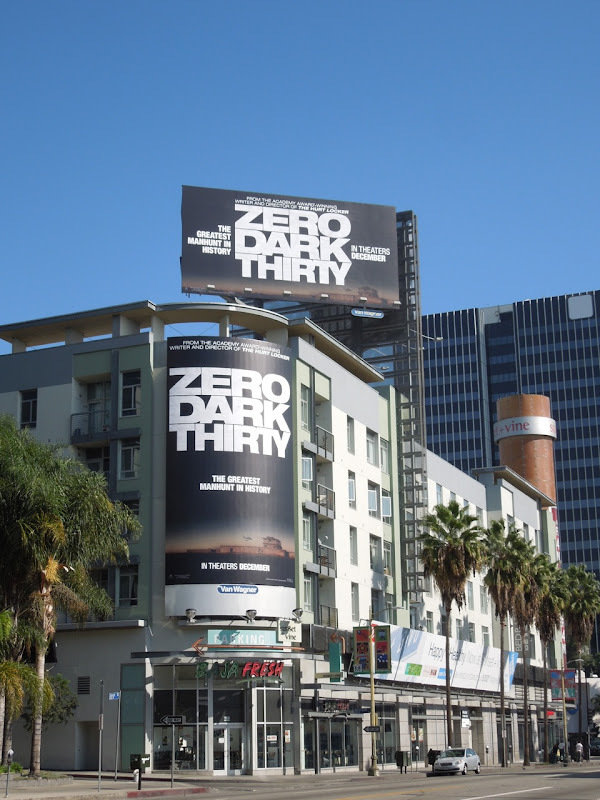 This amended billboard to celebrate the film's achievements, plus canvas prospective votes from the Hollywood community, was snapped along Sunset Boulevard on January 12, 2013.